Alistair Corbett, Senior Vice President with CBRE Ltd. in Calgary is marketing for lease Sky Pointe Landing, a new 15.2-acre shopping centre located at the northwest corner of Country Hills Blvd. and 60th St. NE in Calgary. Developed by Calgary developers, the LaCaille Group, the project promises to be a dominant centre servicing the rapidly growing communities of Cornerstone, Skyview Ranch, Cityscape and Redstone, which currently have very limited services. The population of the trade area, on buildout, is expected to be nearly 80,000 people, with almost 30,000 people already in place. The first phase of Sky Pointe Landing is anchored by McDonalds, financial institutions, a large medical and pharmacy component along with other fitness, cannabis, dental and restaurant users. Units up to 50,000 square feet are available and there are several freestanding, end-cap and inline opportunities in the first phase available for possession during the period of August 2019 through to February 2020. Westmount Shopping Centre is a 498,000 square foot enclosed shopping centre located on the edge of the affluent Westmount and North Glenora neighbourhoods in Edmonton. The project is anchored by a 104,000 square foot Home Depot, a 91,500 square foot Walmart, a 47,400 square foot Safeway, a new 23, 300 square foot Crunch Gym and also features a variety of other national and local retailers. The mall is located minutes from Telus World of Science, Ross Sheppard High School and a main City of Edmonton Community Centre, creating a hub for this community. Demographics surrounding the centre are strong, with over 163,892 people in a five kilometre radius and an average household income over $88,858 per year. Ben Jasper, the Senior Leasing Manager at the First Capital Realty Edmonton office is handling the leasing and notes that there are units available in the mall ranging from about 300 square feet to 1040 square feet along with up to 28,590 square feet on the second level. The spaces are suitable for retail and service uses. An opportunity also exists for the potential development of a freestanding pad at 111th Ave. and 135th St. at the southwest corner of the property. TransCanada Centre is an open neighbourhood centre located on 52nd St., just off the TransCanada Hwy, in northeast Calgary. The First Capital Realty-owned centre is about 186,400 square feet with a strong mix of medical, personal services, and food related tenants. Anchored by a soon-to-open 46,000 square foot Save on Foods along with a 14,300 square foot Rexall Drugs, a 10,000 square foot Dollarama and a 20,000 square foot Spa Lady, the centre is a destination for the more than 32,800 households in a three kilometre radius. Currently there are inline units from about 650 square feet to 5300 square feet available for immediate occupancy in the project. The suggested uses include sit-down and quick service restaurants, a pat store, daycare, financial and medical uses. 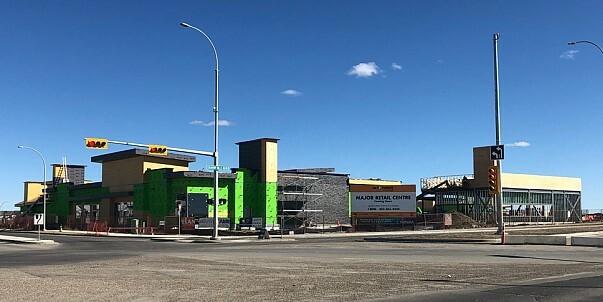 In addition, there is potential for a 4900 square foot freestanding pad with drive-thru on the west side of the centre at the entrance off of 52nd St. Travis Makoloski at First Capital Realty in Calgary is handling the leasing. Royal Vista Professional Centre II is located in Royal Vista Business Park, a master planned employment node in Calgary with commercial and light industrial uses. Retail opportunities in the centre range from 1,151 to 5,600 square feet. The site offers quick access to Crowchild Trail, Stoney Trail and Country Hills Blvd. The prime location is also adjacent to Renert School, a K-12 private school with a second building currently under construction. Royal Oak is one of the most prosperous and populated communities in the city with average household incomes of over $160,000 and over 70,000 residents in the trade area. Nearby shopping includes Royal Oak Shopping Centre, a 335,000 square foot power centre anchored by Walmart, London Drugs, and Sobeys. Northgate Centre is an established enclosed shopping centre situated at the high traffic 97 St NW and 137 Ave NW intersection in north Edmonton. The 491,100 square foot centre is directly across from the North Edmonton transit terminal, making it very accessible for the everyday shopper. Anchored by an 117,800 square foot Walmart, a 55,000 square foot Safeway supermarket and a 23,000 square foot Marshall’s, the centre includes over 70 retailers, medical offices, and professional services. With over 227,400 people within a five kilometre radius, the community centre serves the everyday needs of local residents in the mature neighbourhood. Currently, two ground floor retail units of 2690 square feet and 6510 square feet are available for immediate occupancy. In addition, a 5700 square foot restaurant-ready pad is available and there is also an opportunity to build a new 5,000 square foot pad, both with direct exposure to the main 137th Ave thoroughfare. Senior Leasing Manager Ben Jasper at First Capital Realty is handling the leasing. Ben Jasper at First Capital Realty is marketing for lease a limited number of spaces ranging from an in-line 1,200 square foot location to 9,140 square foot unit in a high traffic Red Deer Village in Red Deer in Central Alberta. Bounded by 52nd St., 67th St and Gaetz Ave., the 244,000 square foot open community centre is located in a strong retail node, easily accessible from the Queen Elizabeth Hwy and David Thompson Hwy. 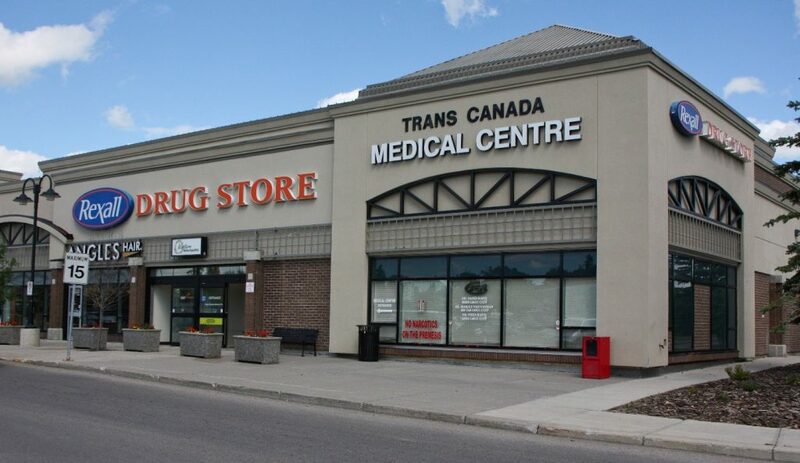 The centre presently includes Canadian Tire, Sobeys, Shopper’s Drug Mart, Dollarama, and TD Canada Trust along with a strong mix of retail shops and services. More than 74,000 people are within a five kilometre radius and the average household income in the area is excess of $100,000 per year. The suggested uses include fitness, daycare, specialty or service-oriented retail etc.